Rents of office space in Singapore edged up by approximately 1.7 per cent in July 2017 compared to June, while rental volume declined by 21.7 per cent from a month ago to 377 rental transactions recorded by Urban Redevelopment Authority (URA). Comparing to the same period in July 2016, rents of office space in July 2017 were almost unchanged with merely 0.8 percent increased while rental volume climbed by 5.8 percent. The improvement in office rental rates may have been contributed by corporate tenants moving from older office buildings to newer buildings or grade A office buildings that command higher rents. Rental of office space in most core districts also saw an increased in office rental rates in the month of July 2017. 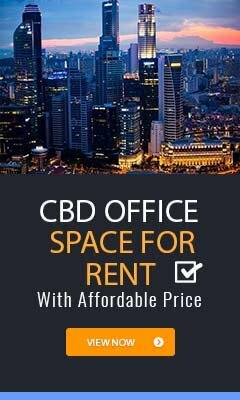 In Districts 01 that includes office spaces in Raffles Place, Cecil Street, Robinson Road Marina Bay, Marina Centre and People’s Park, rents of office space increased significantly up by 4.7 per cent in July 2017 compared to June, while rental volume declined by 18.2 per cent from a month ago to 126 rental transactions. Comparing to the same period in July 2016, rental of office space in the prime district 01 dipped by 4.6 percent in July 2017. Rental of office space was also higher in July for District 02 that include office spaces in Tanjong Pagar, Anson Road and Chinatown. Average rents were up by 3.2 percent with a total number of 44 rental office transacted. In Orchard road and River Valley, rents of office space were up by 2.3 percent while the number of rental transaction saw a decreased by 5.3 percent in July 2017. Comparing to the same period in July 2016, rents of office space in this district dipped by a significant 9.2 percent in July 2017. Another popular office location is the Beach Road and Bugis district. Rents of office space in this district grew by 8.8 per cent in July 2017 compared to June, while rental volume were down by 24.2 per cent from a month ago to 53 rental transactions recorded. Rents of office space in other districts outside the Singapore CBD were mixed with most of the districts seeing declining rents and lower transaction volumes. We make reasonable effort to use reliable and comprehensive information to generate the data, graphs, tables and contents, but we make no representation that these are accurate or complete. The data, graphs, tables and contents above provide information as reference resource for your personal consumption only. It is not intended to be and does not constitute financial advice, investment advice or any other advice. We suggest that you should seek professional advice from real estate salespersons or use our Find Agent feature to request a qualified office real estate agents to assist you.